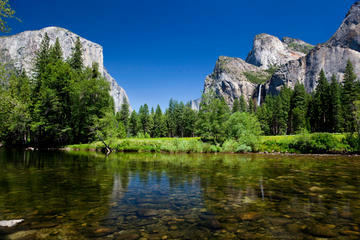 Take time out for a day trip into the wild beauty of Yosemite National Park from San Francisco. You’ll spend 5  6 hours inside the park with a combination of hikes, breathtaking vistas and free time to explore on your own. See giant sequoias of the Sierra Nevada and discover the raw beauty of California’s most famous national park, including a scenic stop at Inspiration Point to see Half Dome and El Capitan.